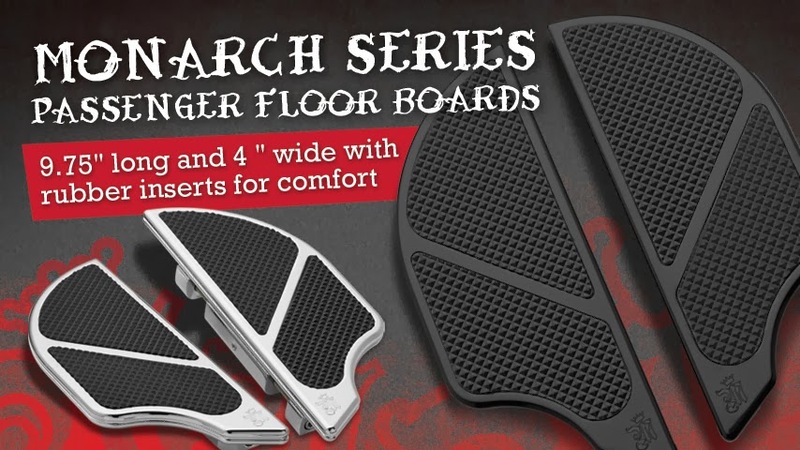 The Monarch series of rear passenger floorboards are machined from billet aluminum. Anyone looking for rear Harley passenger floorboards will be impressed with the stylish design & quality. The new Harley floorboards come in chrome or black anodized, and fit all FL & FLST models. The contoured shape and clean lines demand attention which separate Misfit products from other brands. They measure out at 9.75" in length and 4" in width and also feature rubber inserts. Give your custom bike a look like no other with these and other high quality parts from Misfit Industries. For more information concerning options or installation call us at 877-647-3489 or visit the website at MisfitIndustries.net. Monarch series rear passenger pegs, brake arms, and shift arm kits are also available in chrome or black anodized. As always bikers can ride with confidence because the floorboards come with the Misfit Industries Lifetime Warranty. 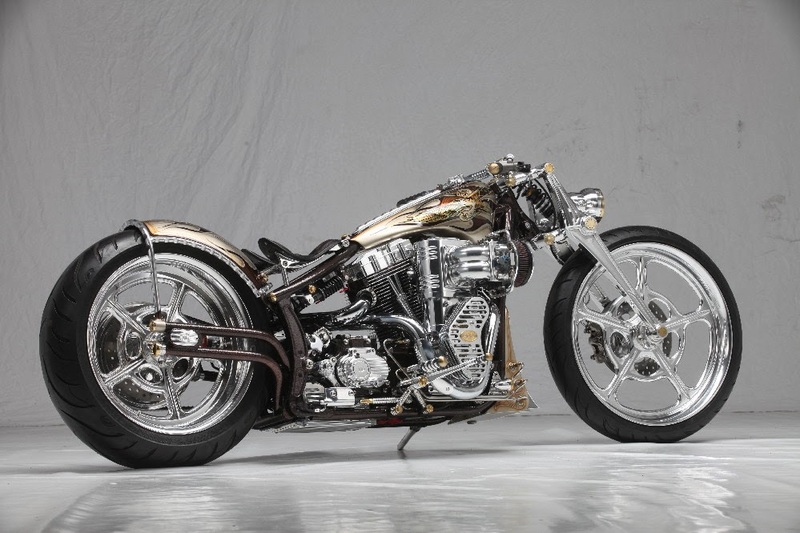 Anyone building a custom Harley or bagger will enjoy the look of the new Monarch series. By designing parts that creating a unique look, Misfit Industries paves the way by providing the best choices for anyone looking for the newest cutting edge motorcycle parts. Some bikes are built for show, while others are made to ride. The Monarch series was created to look great and perform even better. Misfit Industries is proud to produce the best custom parts made in the USA. Innovative design and the highest quality materials are used in every original Misfit part, which is why the product is backed a Lifetime Warranty. For more information call us 877-647-3489 or visit the website at MisfitIndustries.net. Custom Chrome International Bike Show Series Italian Championship 2014. The 2014 edition of the MOTOR BIKE EXPO SHOW in Verona/Italy again attracted the best bikes of Italy and Europe. In continuation of the “Custom Chrome International Bike Show Series” more than 60 bikes out of some 400+ customized motorcycles present were nominated for this show which is a co-operation between MOTOR BIKE EXPO VERONA and CUSTOM CHROME EUROPE. Kenji Nagai is one of the great customizers from Japan who’s parts are in high demand all over the Globe. 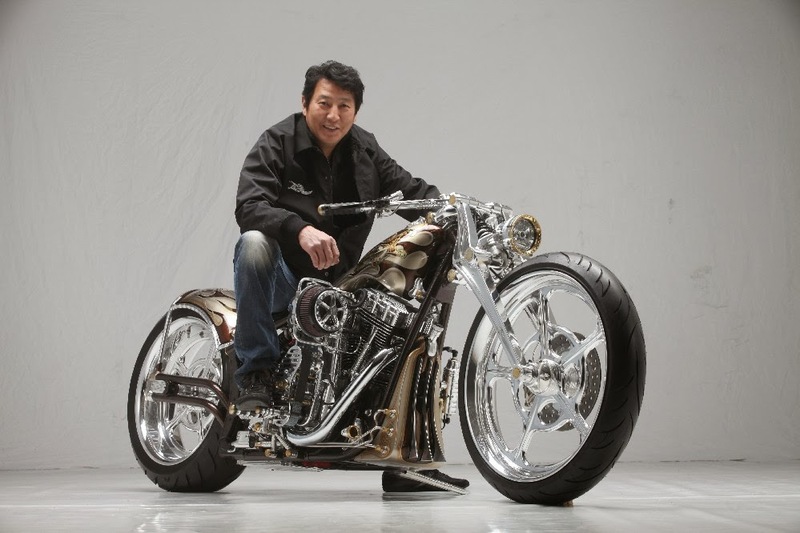 Few people would expect that this super-radical custombike is based on a stock Harley-Davidson frame and engine – a fact which he underlined when Kenji was approached to nominate the bike. As in some of these cases before, the bike was nominated for both categories – which would usually divide the votes from the judges raher than giving the bike more choices. But not with a bike of this excellence! All the selected high class judges, selected from customizers from the USA and international Custombike Journalists made the bike their choice – enough for each category for a clean win! Extraordinary! Many items are handcrafted prototypes that will be available now, that the bike is touring the globe, with MOTOR BIKE EXPO Verona one of the European stops.